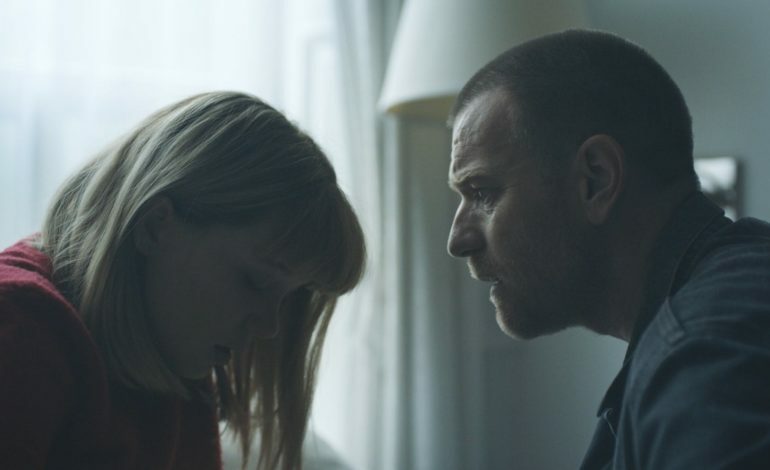 Zoe premiered earlier this year at the Tribeca Film Festival and continues filmmaker Drake Doremus‘ fascination with doomed romances. The writer-director has made somewhat of an auteur out of himself, now known for his indie romances with simple plots, stark aesthetics, and deep emotion. He made himself popular back in 2011 with his film Like Crazy, which starred Anton Yelchin and Felicity Jones as a couple separated by American Visa policies. Doremus turned heads again with the Kristen Stewart, Nicholas Hoult-starrer, Equals, which featured the couple torn apart by a dystopia that has eradicated love; and, again in 2017 with Newness, another Hoult-starrer focusing on the loneliness of online dating. For Zoe, Doremus has created a sci-fi romance revolving around a scientist who has invented a program to test relationship compatibility and has now created an artificial intelligence to be someone’s perfect soulmate. This is complicated, though, when he falls for one of his employees, a relationship that seems could be doomed from the start. Ewan McGregor, Leá Seydoux, Rashida Jones, and Theo James all star in the film, which will be available for streaming on Amazon Prime starting on July 20.